BAPS Shri Swaminarayan Mandir, London – popularly known as the ‘Neasden Temple’ – has been awarded a ‘Certificate of Excellence’ from TripAdvisor for the fifth consecutive year, entering the Mandir into the TripAdvisor ‘HALL OF FAME’. TripAdvisor is considered the world’s largest and most popular travel site, with more than 455 million monthly average unique visitors giving over 630 million reviews and opinions so far for 7.5 million hotels, restaurants, airlines and attractions. 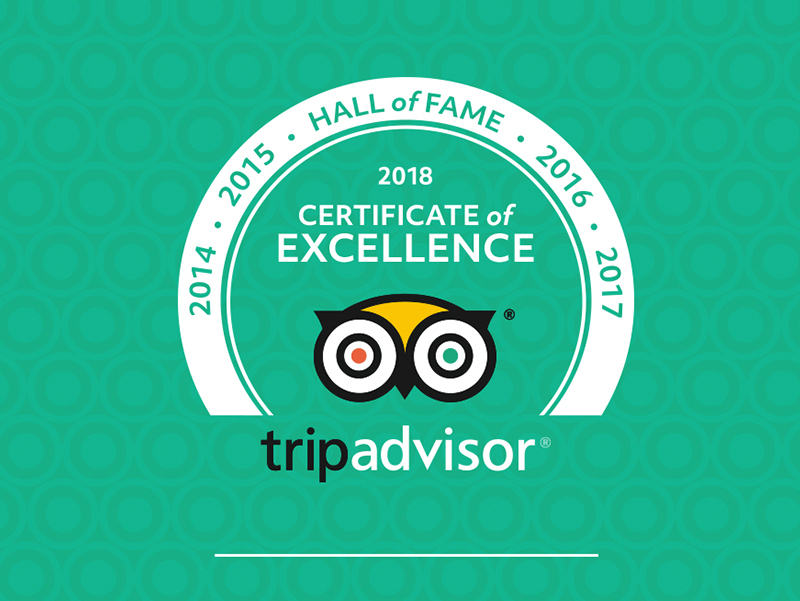 “TripAdvisor is excited to announce the 2018 Certificate of Excellence Hall of Fame recipients, which have consistently received strong praise and ratings from travellers,” said Heather Leisman, Vice President of Industry Marketing, TripAdvisor. The annual recognition is based on the quality, quantity and recency of reviews posted by travellers on TripAdvisor over a 12-month period. The Mandir currently ranks 77th among 5,871 attractions or 1,828 ‘things to do’ in London. More specifically, it ranks 5th on the list of ‘Architectural Buildings of London’, and 2nd (after Westminster Abbey) among ‘Sacred & Religious Sites in London’. To view the Mandir’s page on TripAdvisor, please click here. For more visitor feedback submitted by educational groups and others, please follow the respective links.